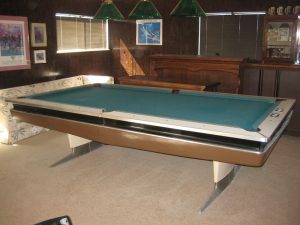 Last week we posted a few photos of a Mitchum pool table from the 1960s. 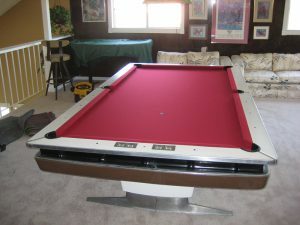 We went back out to Walnut, CA to finish the second leg of the new flooring move and to refelt this unique 9 foot pool table. 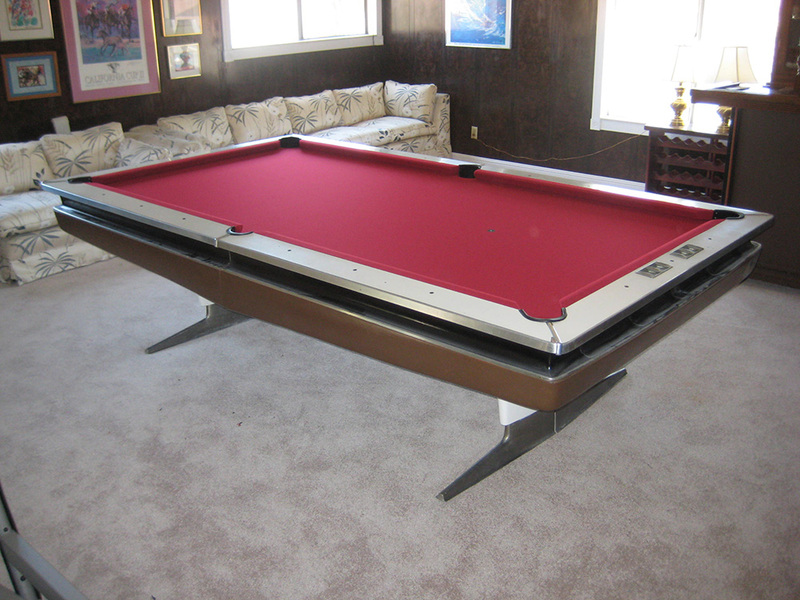 The burgundy felt makes the table pop and after 40 years with the original master fast cushion rubber the balls still bounced as well as the day this pool table was made! I bought a home and this table was in the basement. He took the ball return off and put on plastic pockets. I took the felt off this weekend, and it will be recovered on Jan 20th. 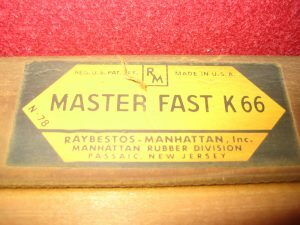 An amazing find, and I am excited to play on it! Great find Mark, keep those old dinosaurs alive. New felt and bumpers can transform an old relic into a high quality playing machine! Thanks for your comments!